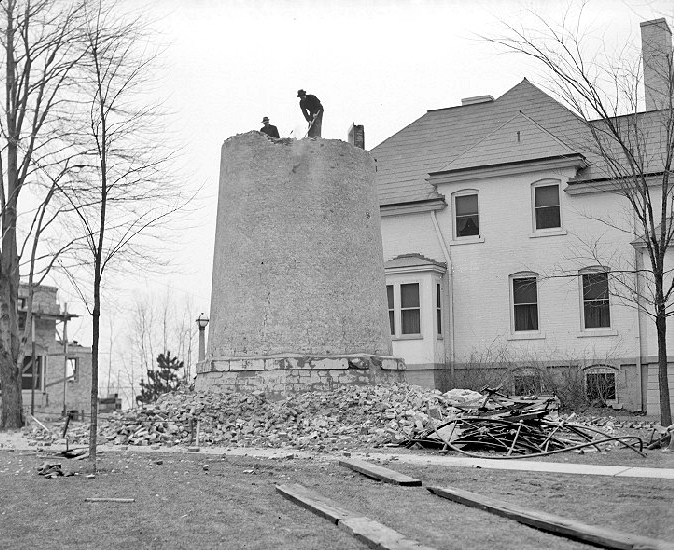 An old stone windmill, roughly thirty feet tall, formerly stood on the shores of Lake St. Claire in what is now Grosse Pointe Park. The area was once known as Presque-Isle, French for “almost an Island,” as the land was marshy and often flooded by water, but after the erection of the windmill, it was called Windmill Point. 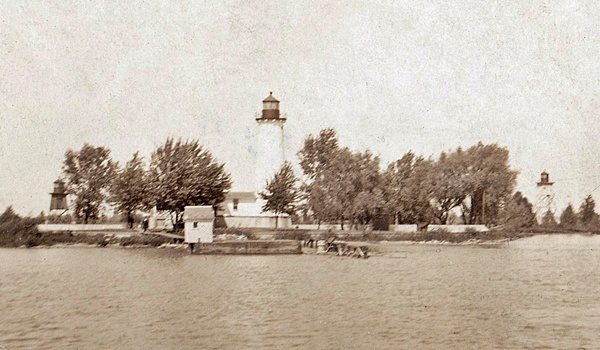 On March 3, 1837, Congress appropriated $5,000 for “building a light-house on Windmill Island, at the outlet of Lake Saint Clair.” Andrew Mack, the customs collector at Detroit, purchased a nearly four-acre site at the confluence of Lake St. Clair and Detroit River for the lighthouse in August 1837, and the following year, the light was placed in operation. The first tower at Windmill Point, which was built of stone, stood nearly forty-four feet tall, and in 1848, five lamps and fourteen-inch reflectors were being used in its lantern room to produce a fixed white light. A brick, one-and-a-half-story dwelling, topped by a slate roof, was provided for the keeper. John Martin, the first keeper of the lighthouse, was a veteran of the War of 1812, and during a sortie from Fort Erie on September 17, 1814, he received a bayonet wound under his left kneecap. 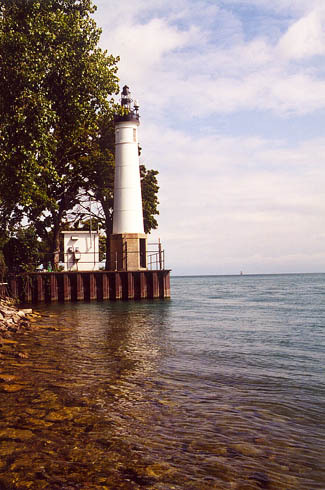 In the 1820s, Martin moved from New York to Michigan, where he was appointed keeper of Windmill Point Lighthouse in 1838. 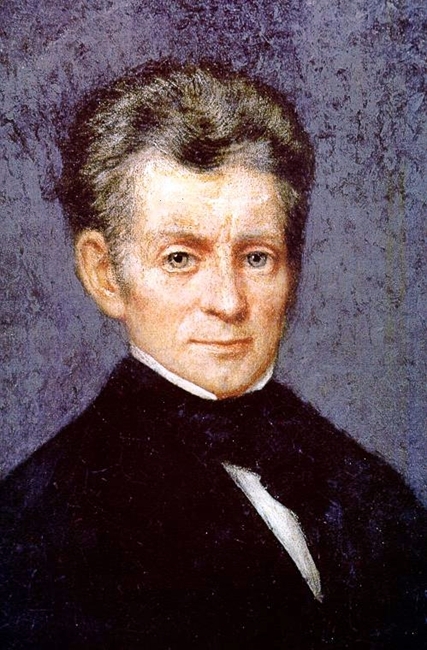 Besides minding the light, Martin served as a representative for Michigan after it became a state in 1837. He died in Washington D.C. in 1848 at the age of sixty-five. 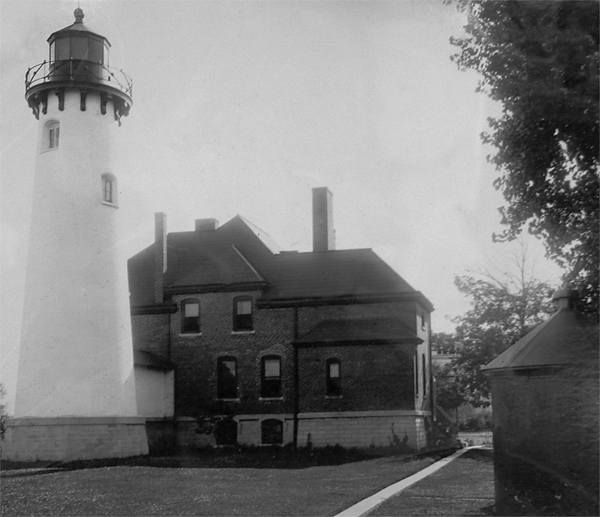 A sixth-order lens was installed in the lighthouse in 1856, but the light’s characteristic remained fixed white. This lens was replaced in 1867 by a larger fifth-order lens that produced a fixed white light varied every ninety seconds by a red flash. Also in 1867, a stone storeroom was attached to the tower. Congress got the message and on March 3, 1874 allocated $18,000 for a new tower and dwelling. Work commenced in May 1875, and the new lighthouse, built eighteen feet west of the original, was finished five months later in October. The new conical tower stood nearly fifty-seven feet tall and was connected to the dwelling by a fifteen-foot-long covered passage. 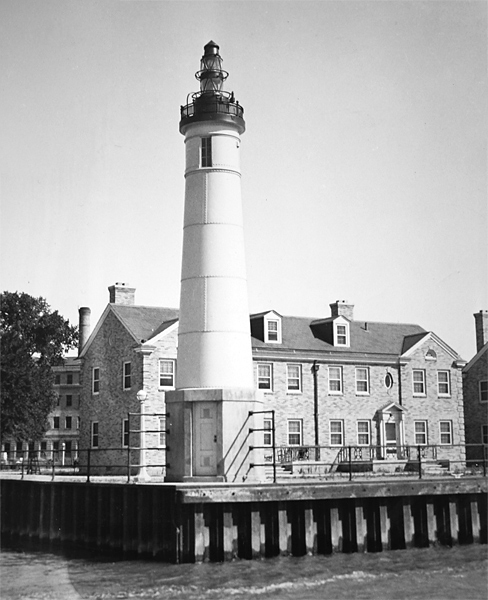 The brick lighthouse tapered from a diameter of fourteen feet, ten inches at its base to nine feet, eight inches at its decagonal lantern room. While the tower was painted white, the ten-room, redbrick keeper’s dwelling was left its natural color. On July 31, 1876, Congress provided $2,000 for construction of a road to Windmill Point from Jefferson Avenue, the main road that ran between Detroit and Grosse Point. Title to a strip of land, sixty-feet wide and a mile-and-a-quarter long was acquired in October 1876, and the road was finished by 1879. Numerous changes were made to the station in 1890. An old wooden bulkhead and jetties, built to prevent erosion of the shoreline, were removed, and a solid concrete wall, 567 feet long and 5 ½ feet tall, was poured along the waterfront. A six-inch sewer pipe was laid from the dwelling to the lakeshore. A circular iron oil house was erected on the northeast side of the grounds. 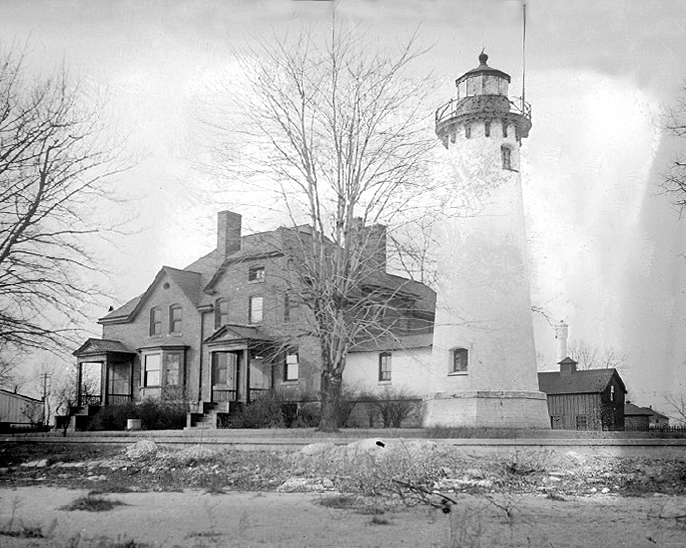 A new picket fence was built across the back of the property, and on December 7, 1890, a fourth-order lens was installed in the lighthouse, changing the light’s characteristic to a fixed white light varied every fifteen seconds by a red flash. 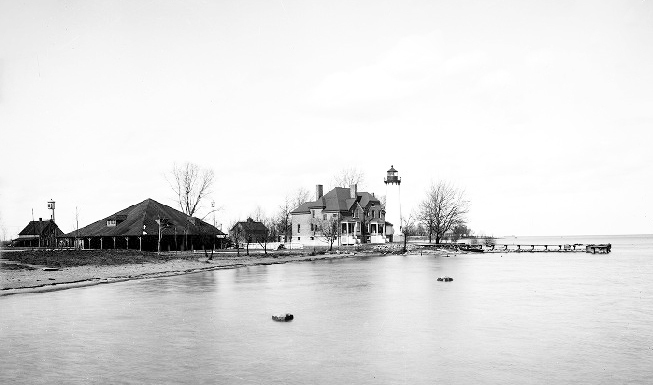 The need for a pair of range lights to mark the channel between Windmill Point and Belle Isle had been noted by the Lighthouse Board as early as 1878, and Congress finally provided $3,000 for its establishment on March 3, 1891. Work on the range towers, which were located on the grounds of Windmill Point Lighthouse, began on April 8, 1891 and the lights were placed in operation on May 20, 1891. Just one keeper had been needed to run Windmill Point Lighthouse previously, but the addition of the range lights justified the appointment of Hamilton Martin as the station’s first assistant keeper in 1891. The wooden range towers had a short life, as in 1907, two new steel towers, manufactured by White & Hales Iron Works of Detroit, were erected in their place. The new front tower was forty-two feet tall, and the rear one fifty-six feet tall. The towers were equipped with an Adams & Westlake locomotive headlight that was raised and lowered in a wooden cage and produced a fixed red light. Eight rooms were added to the dwelling in 1908 to create a double dwelling for the keeper and assistant keeper. 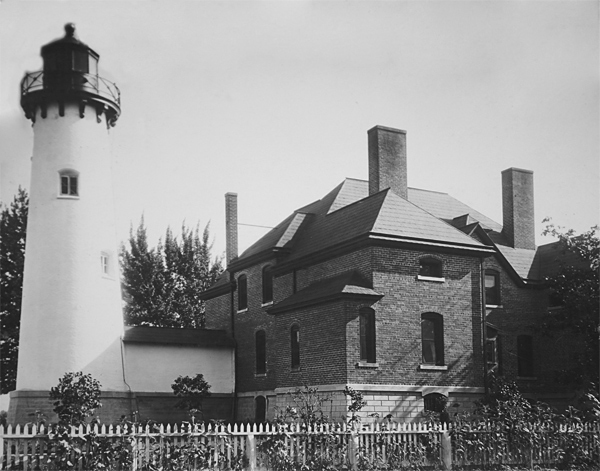 In 1919, the front tower was raised fifteen feet and the rear tower twenty feet, and electric lights were installed in the dwelling, the range lights, and the lighthouse. After having served as head keeper of Spectacle Reef Lighthouse for twelve years, Walter G. Marshall transferred to Windmill Point in 1910. Keeper Marshall was sixty years old when he arrived at Windmill Point, but he must have still been quite active based upon his accomplishments during the next seven years. In 1915, he and his assistant pulled a boat near the seawall that was in heavy seas to safety. The following year, the two keepers towed a disabled boat to safety, Keeper Marshall rescued a man from drowning. Keeper Marshall was awarded the lighthouse efficiency flag in 1917 for his station having attained the highest general efficiency in the district during the calendar year. 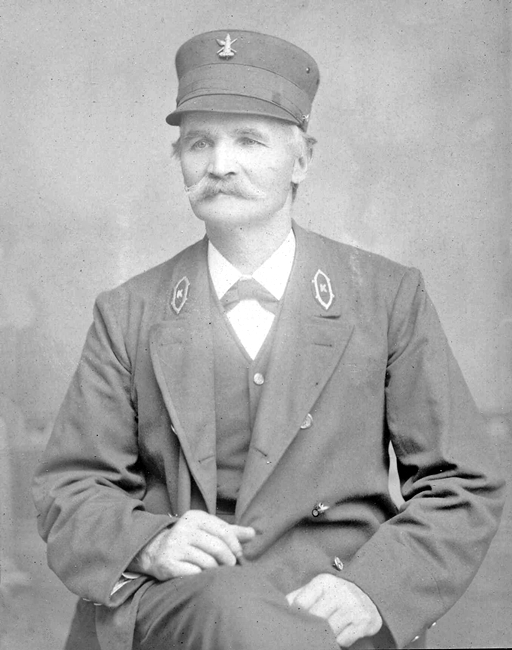 After more than forty years of service in the Lighthouse Service, Keeper Marshall retired from Windmill Point in 1919. 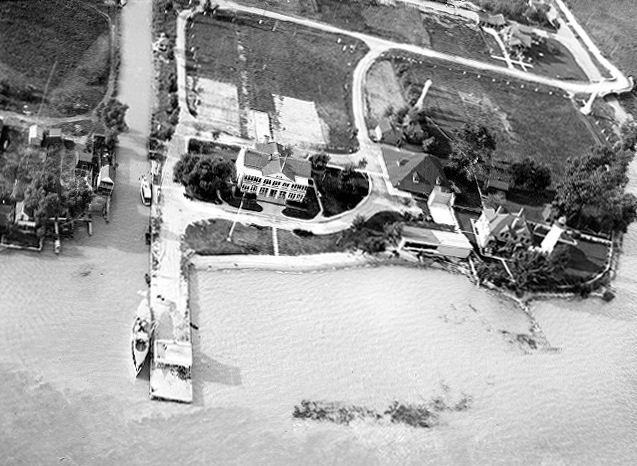 In the late 1920s, the Public Health Service obtained Windmill Point Lighthouse reservation in a land swap with the Lighthouse Service in Detroit as a site for a new Marine Hospital. The main tower was left standing and converted into an unwatched light until a new tower was built nearby. The flash panels that revolved around the fourth-order Fresnel lens were removed, and a lamp exchanger with two, 300-watt, 110-volt lamps was installed in the lens and wired to a motor-driven flasher. The main light was powered by commercial current and turned on and off by a sun relay. In the event of power failure, a standby acetylene light would start automatically. The structure consists of an octagonal reinforced concrete base, one story high, providing entrance to the tower which is superimposed on it, and forming the housing for the acetylene tanks supplying the spare light. The superimposed tower is cylindrical, of quarter-inch steel plate, rising to a height of about 33 feet above the base, and terminating in a simple projecting cornice with low railing. A cylindrical section projects above the steel deck of the tower, with a door in the side forming an outlet to the deck. A special steel casting on top of the cylinder supports the optical apparatus. This consists of 2 375-millimeter buoy lanterns, 1 set directly above the other, and the 2 separated by means of a cast drum. In the lower lantern a sixth-order lens is utilized, this being accessible through a cast door plate on the landward side. The upper lantern is provided with a 375-millimeter lens and acetylene flasher, and serves as stand-by equipment becoming operative in the event of current failure or a burned-out lamp in the lower lens, through suitable relays. The main light source is a T-20 monoplane filament, 500-watt lamp, with the flat side of the filament facing in the direction of the river, and through the sixth-order lens, producing a light of about 12,000 candlepower. This electric light is turned on and off by a sun relay, which controls a motor-driven flasher through an intermediate relay. 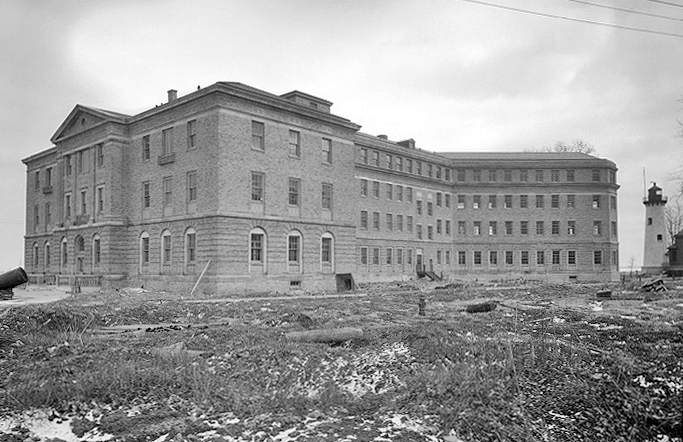 The hospital built on the lighthouse reservation has long since been demolished, leaving Windmill Point Lighthouse as the only historic structure on the parcel. 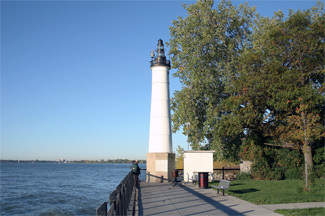 The area near the lighthouse is now known as Mariner Park, and the paved shoreline east of the tower is a popular fishing spot. Head: John Martin (1838 – 1842), James Raymond (1842 – 1844), Lawrence Tremble (1844 – 1849), Stephen T. Hanson (1849 – 1853), Laurence Tromble (1853), George Lafarge (1853 – 1861), R.A. Barton (1861 – 1866), Frederick Grimm (1866 – 1870), Henry Kuemmel (1870 – 1871), Herman Stehfast (1871 – 1886), Anson Badger (1886 – 1889), Nathan James Roach Kennedy (1889 – 1907), Mattie Kennedy (1907), Louis Fetes (1907 – 1908), Edward Chambers (1908 – 1910), Walter G. Marshall (1910 – 1919), Otto Redman (1919 – 1927), Charles H. Haven (1927 – 1929). 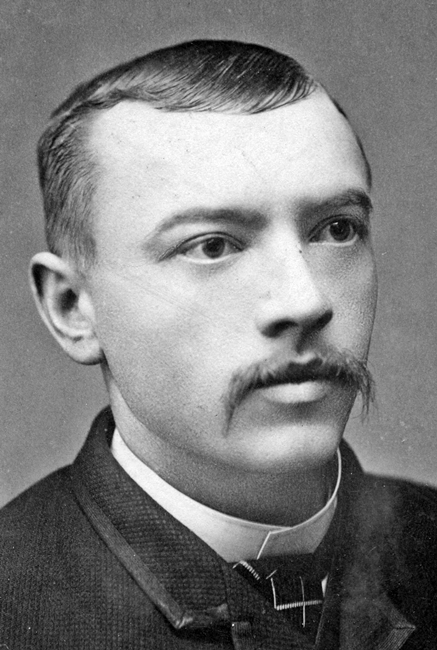 Assistant: Hamilton Martin (1891 – 1894), Horace E. Paye (1894 – 1896), Arthur M. Carter (1896), Joseph Schuster (1896 – 1907), William Stratton (1907 – 1908), Fred McFall (1908 – 1910), Lewis Mammond (1910), Fred McFall (1910 – 1916), Charles J. Louisignau (1916 – 1919), James T. Story (1920 – at least 1922), Harry Keondway (at least 1924). 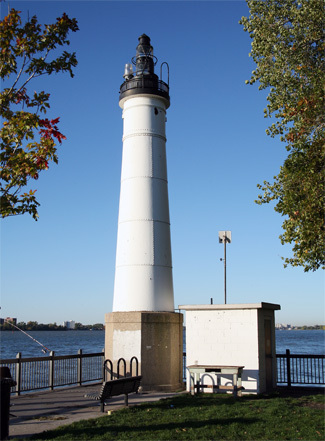 Located at the entrance to the Detroit River from Lake St. Clair. For a larger map of Windmill Point Lighthouse, click the lighthouse in the above map. 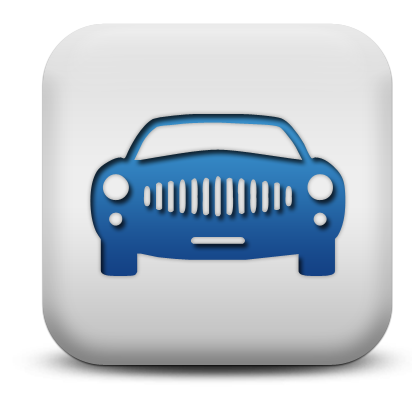 From Highway 10 in downtown Detroit near the GM building, take Jefferson Avenue east just under six miles. Turn right onto Alter Road, follow it to its end, and then turn right onto Riverside Boulevard. The road will cross over Fox Creek, and you will then turn left into Mariner Park that has a parking area near Windmill Point Lighthouse. The lighthouse is owned by the Coast Guard. Grounds open, tower closed.